Street Energy are now actively involved in identifying and developing large-scale solar parks. 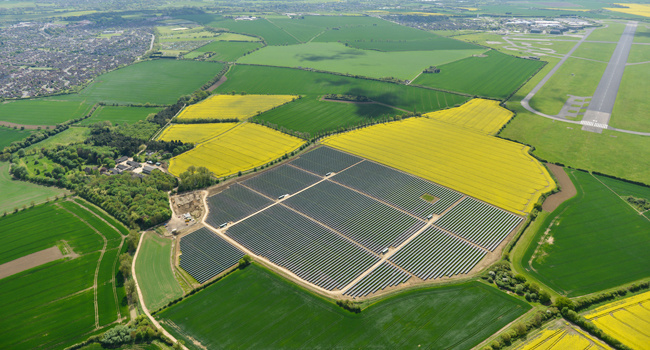 We have recently completeded a 12MW solar park on a 45 acre site at Wiggin Hill Farm near Huntingdon (pictured above). We are constantly searching for new sites (from 25-250 acres) that are suitable for solar parks. We offer attractive land rental terms that are index linked over 25 years. We can also offer the option of retained grazing beneath the panels. If you have a site that you feel may meet our requirements, please contact us for an initial discussion.